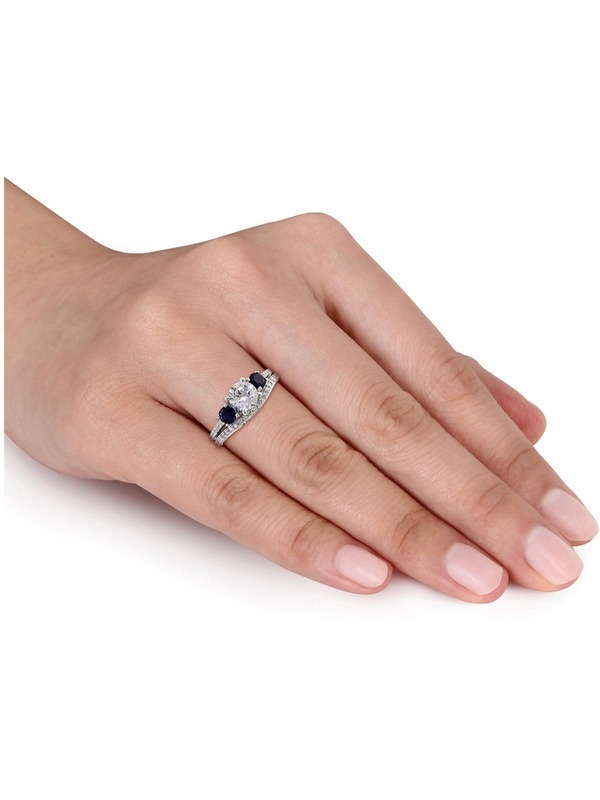 Crafted in lustrous white gold, this gorgeous ring features a round-cut created white sapphire at the center with round-cut created blue sapphire gemstones and two round-cut, pave-set diamonds along the sides. This ring also features 37 round-cut, prong-set diamonds shimmering along the band. This ring is enhanced with a high polished finish.